Charlotte Jaconelli is a classical singer who appeared on Britain's Got Talent in 2012. After recording two albums with her then singing partner, Jonathan Antoine, she secured a solo deal with Sony. To launch this new solo career, Charlotte required a new site that would reflect her personality, the elegant nature of classical music and appeal to her fans. Working with the wonderful Chris at Kleber, I designed a clean, streamlined layout using an elegant colour palette of neutrals and red to complement the beautiful images of Charlotte throughout the site. 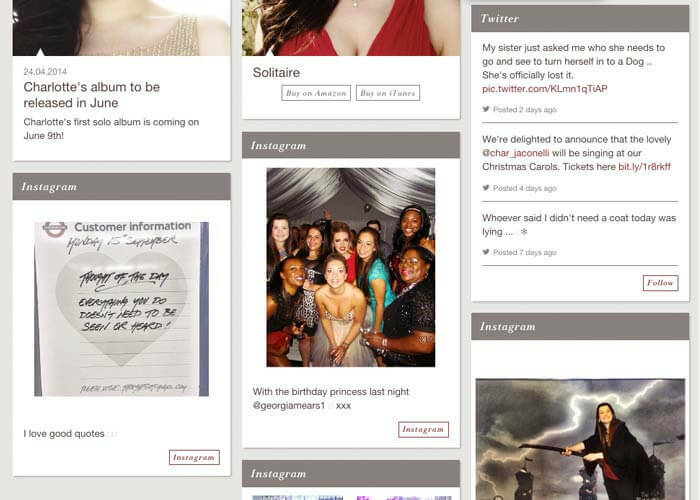 It was important that Charlotte's fans could easily keep up to date with her latest activity, so the homepage acts as a constantly updating stream from her social media accounts. The site is fully responsive. 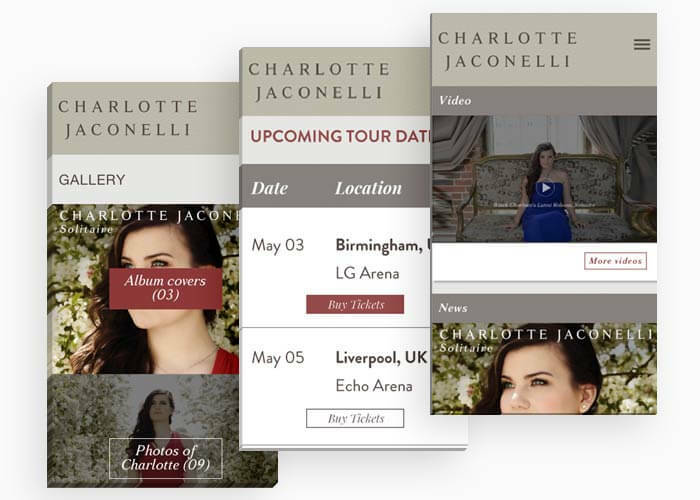 This enables fans to keep up-to-date with Charlotte, buy tickets for shows and find out more about her music no matter what device they are using.